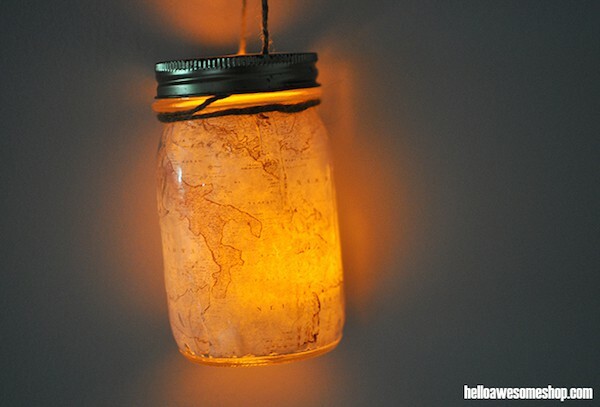 Home / Crafts / Budget / Easy DIY Mason Jar Lantern – with Maps! 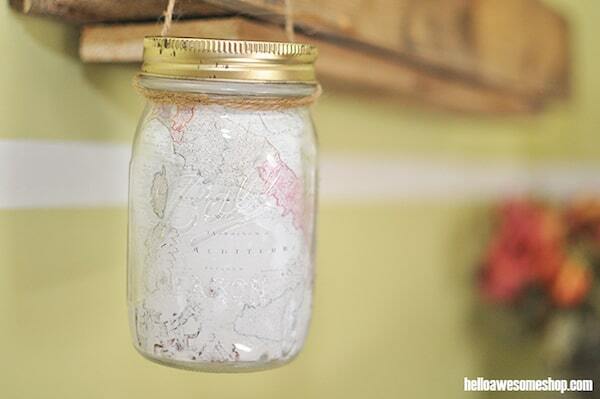 Easy DIY Mason Jar Lantern – with Maps! 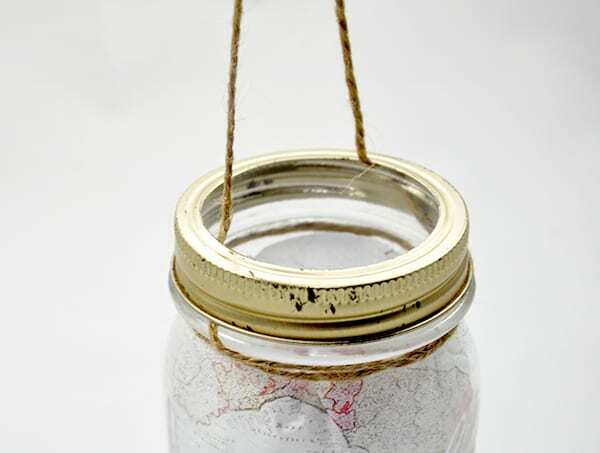 Grab some map printouts and your Mod Podge, and make the cutest mason jar craft ever – a map lantern! 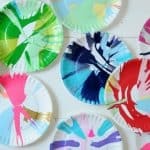 This is such a fun and easy craft idea. Gone are the days of playing, cooking, and eating by candlelight. However pretending is always cool. A few weeks ago my husband and I were at a tag sale. No surprise there. I walked over to one side of the driveway, glanced down and literally gasped out loud. Surprise! Two boxes of mason jars! I couldn’t claim them fast enough. 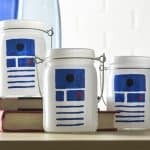 So for weeks these beautiful jars have been taunting me in the studio as I pondered what to do. It wasn’t until I was at the library that it hit me . . . maps! I couldn’t check out those antique map books fast enough. I took them home, scanned my favorite one and printed it out on an 8 1/2″ x 11″ piece of paper. 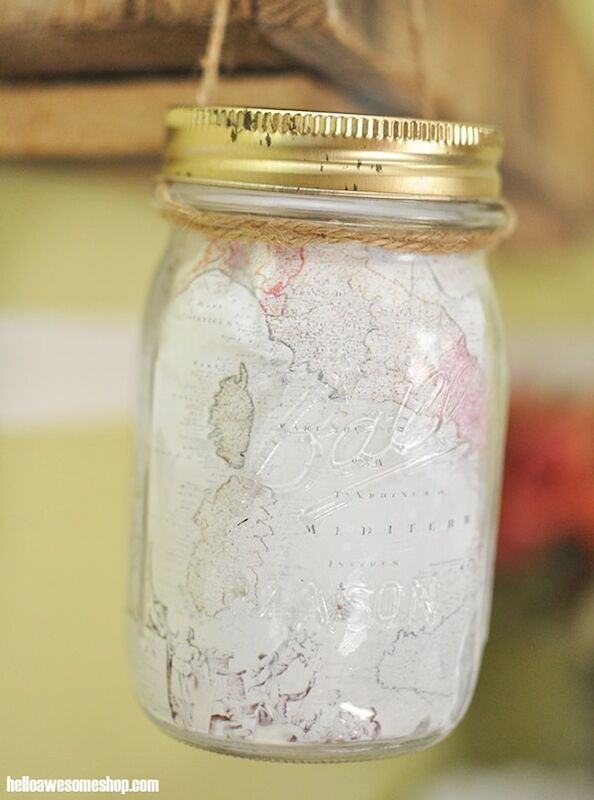 You can use any kind of maps for this mason jar craft, as long as the paper is thin enough. Maps from newspapers would work amazing! 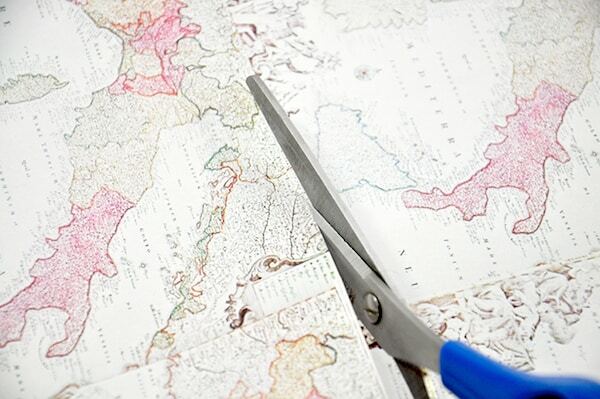 Cut the map in half and you should have two pieces, about 5″ x 7″. 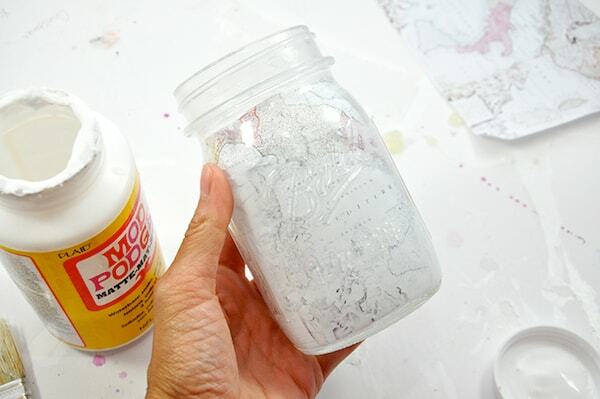 Apply a generous amount of Mod Podge to the inside of the jar. 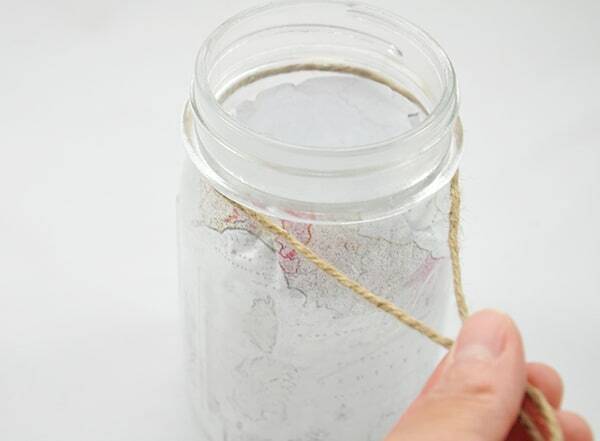 Insert one of the map pieces and start pressing the paper up against the walls of the jars. Use your finger or a pencil to rub out any bubbles and folds. The paper will fold a bit and that’s okay. Save the other map piece for another jar. Let stand for two hours. 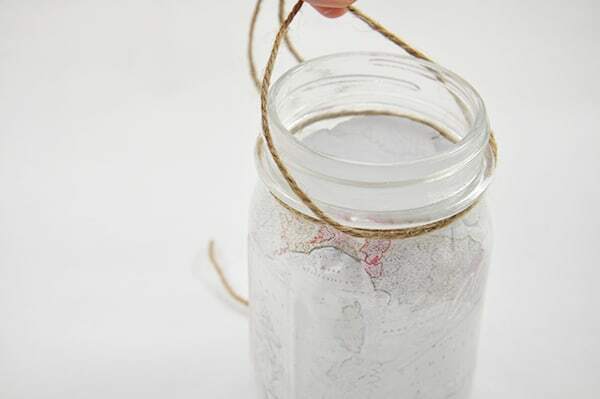 Take a piece of twine and wrap it once around the jar. The second time around, feed the twine through the lid and tighten. Double tie the end of the twine with a knot and cut off any excess. Turn on a battery operated LED tea light, drop it in and enjoy! It leaves the sweetest glow and highlights the details of the map beautifully. I can’t wait to hang a pair of these in my kitchen! 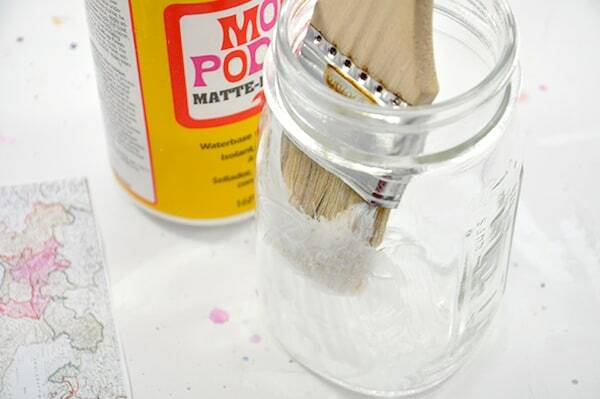 Do you love art and DIY? Then you’ll love my blog Hello Awesome, where I share tutorials, projects, recipes, faith and family friendly posts. My online shop is also filled with handmade goodies. Connect with me on Twitter and Instagram.